PS: This app is just a joke, you won't get actually wind from it, ok? It is physically impossible to make an app like that. 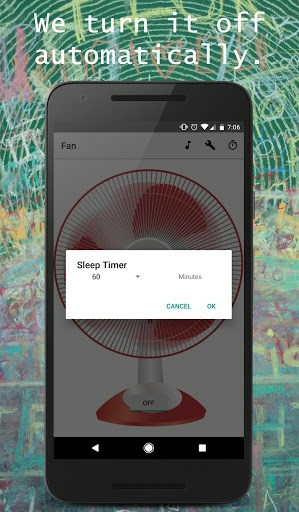 Our goal is to provide you a good sleep with the best sleeping sound in the world: A nice table fan! Getting tired of this warm weather? 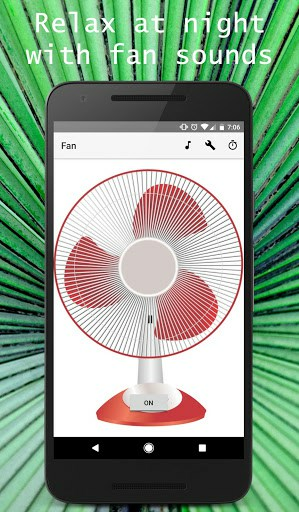 Now you have this app to provide you fresh air! Carry in your pocket a portable fan! Now we save your color and sound preferences for the next time you use the app! 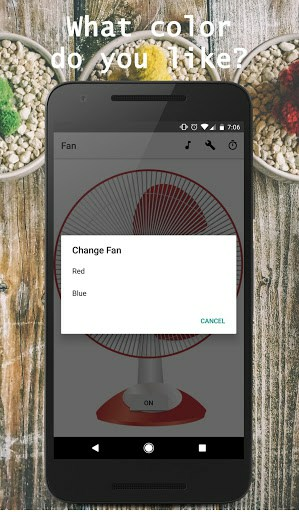 – Change the fan sound!! !